The application of the shrink-wrap will also enable the Development Team to enter the closing stages of the car’s extensive evaluation programme, which has already encompassed thousands of miles in hot and cold climates across the globe. The ‘Grand Tourer’ has proven its ability to cover long distances in supreme comfort, but always with extra shape-changing and noise-inducing panels applied. Now that these have been removed, the Development Team will run further validation tests, including a 1,600km drive from McLaren’s development base near Barcelona, Spain, back to the McLaren Technology Centre in Woking, England. 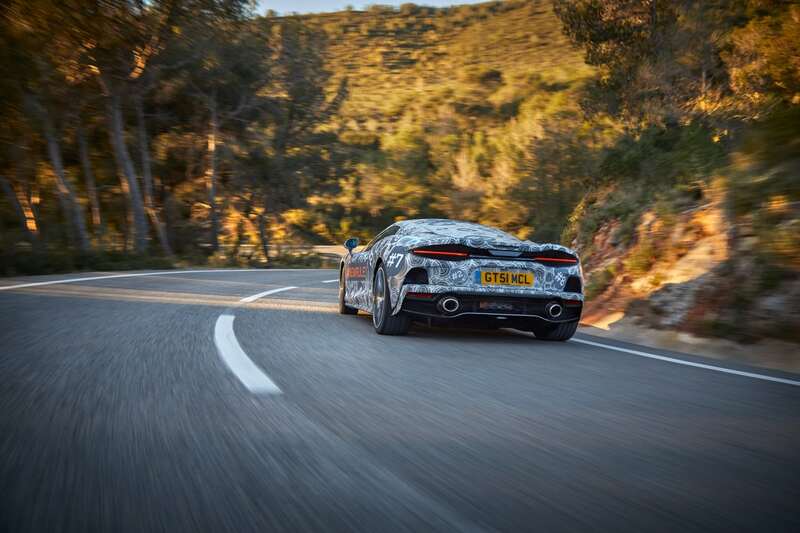 To be completed in one stint with two occupants and a full complement of luggage, this is one of many long-distance drives that will help the team to confirm the new model is both comfortable and refined over the long distances a grand tourer is expected to consume … one rule that McLaren won’t be breaking.